You know that feeling when you put new shoes on and suddenly everything is right? Anyway, I popped into H&M last night and I fell head over heels (get it?) for a cute pair of flats. 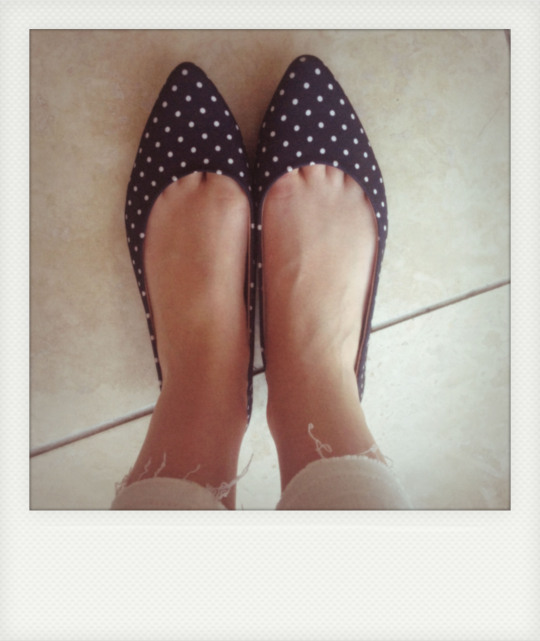 It’s not often that I see flats and instantly need them, but these were an exception. Beth bynnag, es i i H&M neithiwr a wnes i ddod ar draws par o esgidiau fflat ciwt yma, a dwi wrth fy modd gyda nhw! Blaenorol Rituals Cosmetics – Universo Larita!